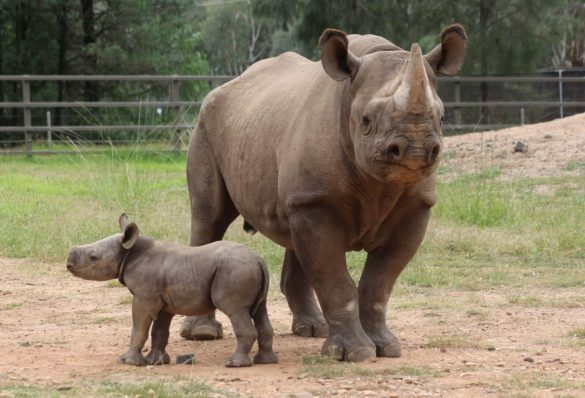 Black rhino calf at Taronga Western Plains Zoo, Dubbo on May 6 2015. Photograph by Rick Stevens. Taronga Western Plains Zoo welcomed a male black rhino calf on April 20. He is the second baby born to mother Bakhita and the third calf born in 10 years to the zoo’s breeding program for this critically endangered species. 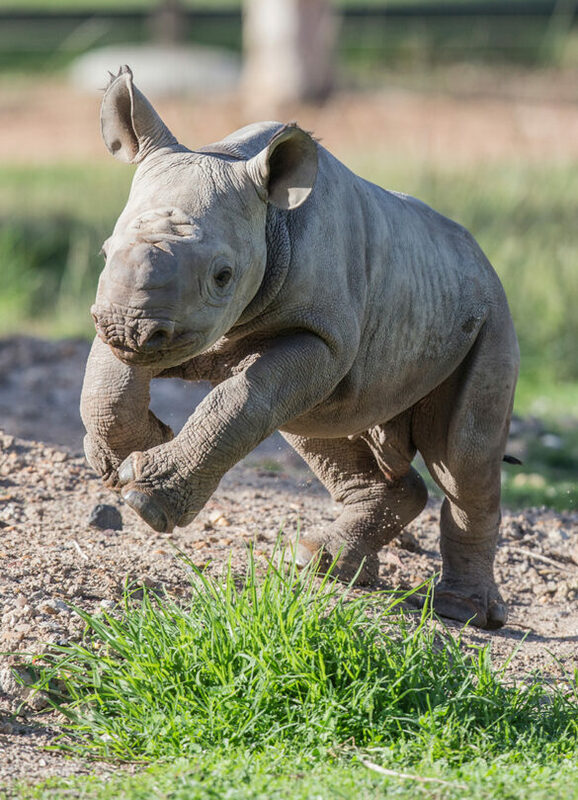 The calf weighs about 30-40 kg and is full of energy, often bounding around his yard first thing in the morning. 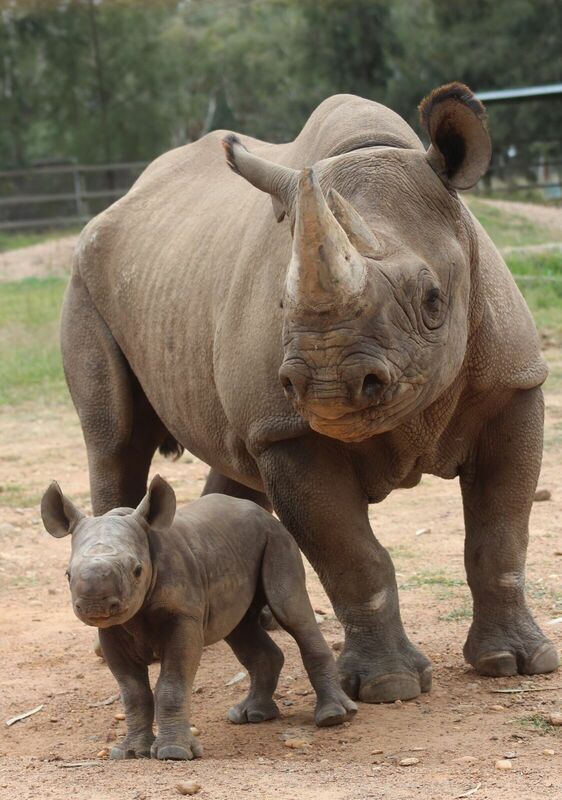 Baby rhino with his mother Bakhita. Photograph by Rick Stevens. 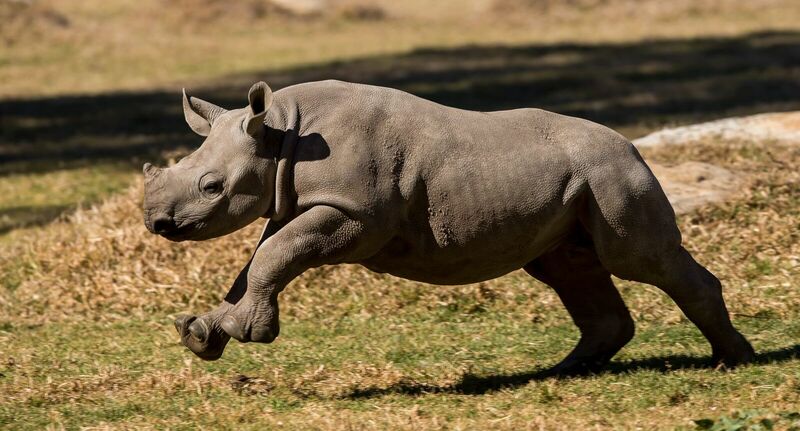 In the wild, black rhinoceroses live in Africa. Poaching is a major threat to the species due to demand for their horns which is used in Asian medicine. 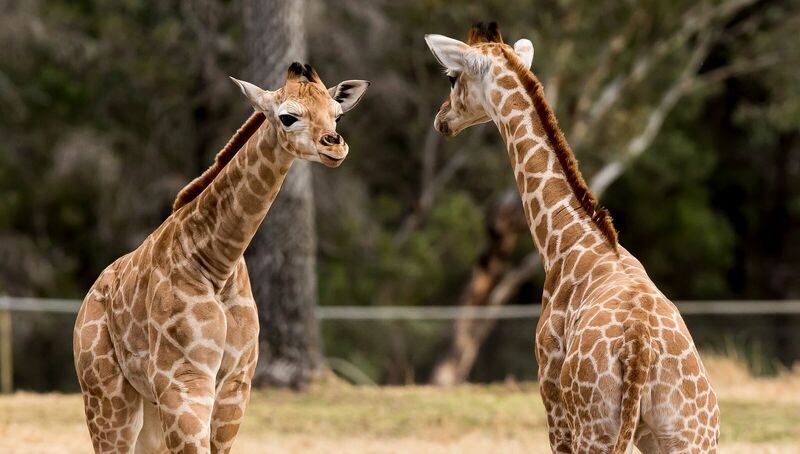 Learn more at the Taronga Western Plains Zoo website. The healthy male black rhino calf at the Lincoln Park Zoo. 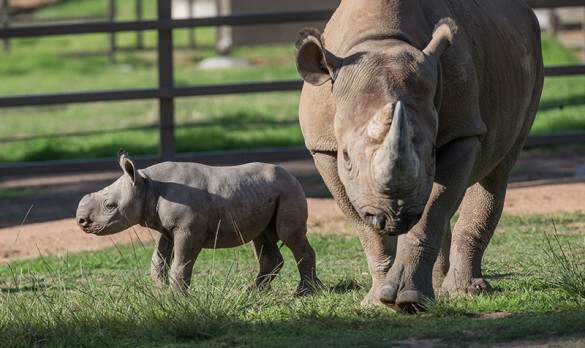 Photos by Todd Rosenberg / Lincoln Park Zoo. 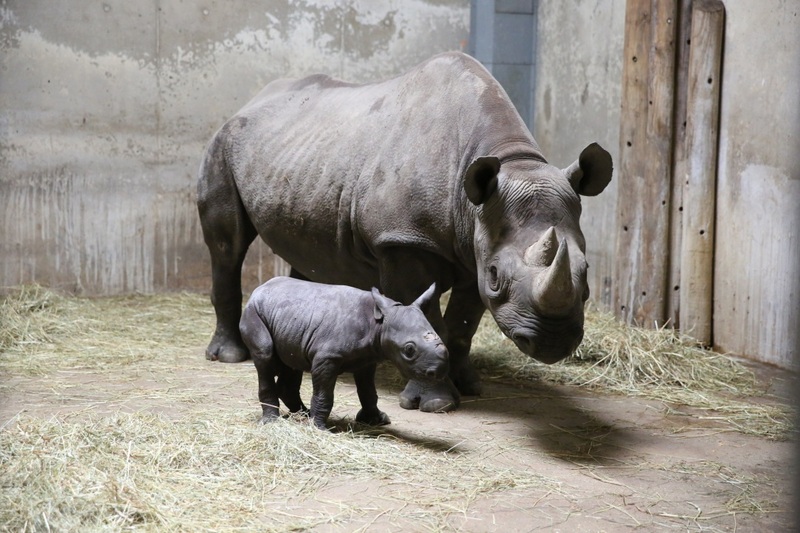 The Lincoln Park Zoo happily welcomed the birth of a critically-endangered black rhinoceros calf on August 26. The male calf weighed in at 60 pounds. 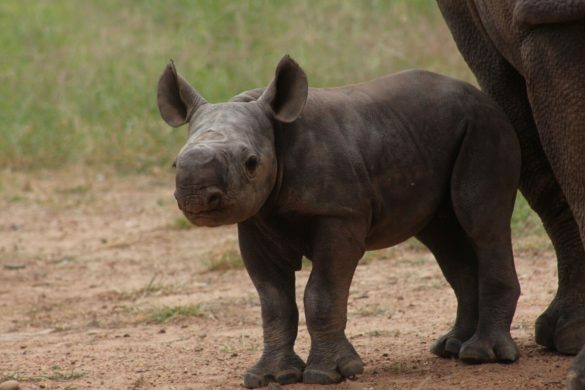 With only 5,000 black rhinos alive in the wild, the species is considered at high risk of extinction. 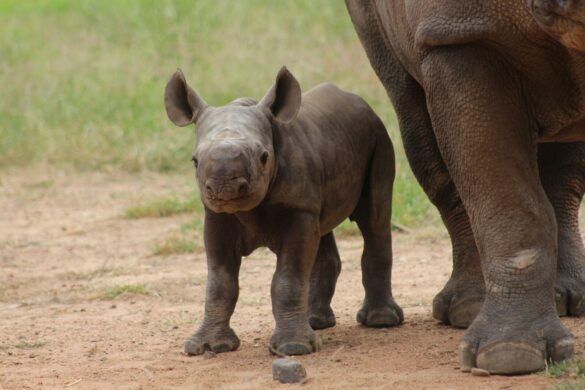 They are threatened primarily by poachers, who kill the rhinos for their horns. 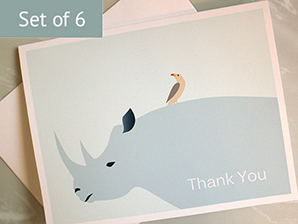 In some cultures, black rhino horns are considered very valuable for medicinal purposes. 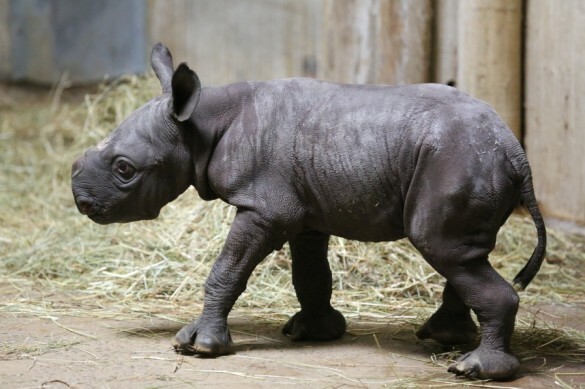 The Lincoln Park Zoo worked hard to conserve this species through the Rhinoceros Species Survival Plan, an initiative of the Association of Zoos and Aquariums (AZA). 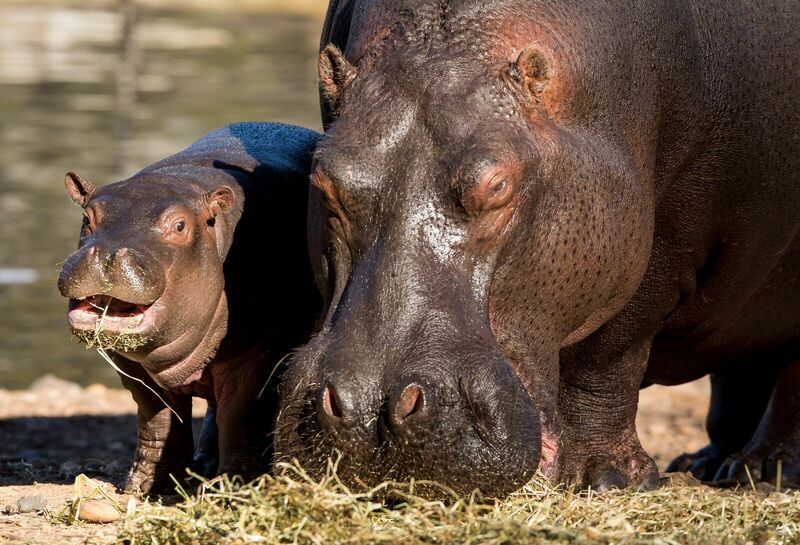 Mother Kapuki and her calf will be bonding behind the scenes for the next couple of weeks.